Possum never tried to hide the sadness just below the often out of control, honky/tonk surface, but no matter how much he spoke or sang about his pain, you always had the feeling that if you dug a little deeper, you’d find even more hurts and regrets. And was he a sight! A sad guy with a sad face and heavy heart hiding even more sadness; a face on which the wrinkles seemed like an ongoing inventory, a regular spread-sheet, of each of the messes –many self-inflicted — that George (or often someone else) had to clean up. What has always baffled me is how and why a weatherbeaten classic country singer — maybe the greatest of the classic country-style singers ever — spoke so directly to me. It’s pretty obvious that a liberal, NYC college professor born in the “Wonder Years” suburbs of Los Angeles lived a very different life. Post-war West Covina , California could not have been more different from George’s birthplace, Saratoga, Texas, where — in the middle of the depression — George first walked the streets as a kid, singing for spare change. The feelings he shared in his music, though, were very familiar — the insecurities, the pain of unsuccessful relationships, the regrets over hurt feelings. And he never seemed reluctant to open any and all wounds in some of the greatest country songs ever recorded — If Drinkin’ Don’t Kill Me, The Race is On, He Stopped Loving Her Today , and more. Funny thing about George and some of the other great male singers of his day: Johnny Cash, Buck Owens, Merle Haggard, Webb Pierce, Ray Price. No group of guys were more macho on the surface and — at the same time — more willing to admit in their music a level of pain and tears that society rarely expects to hear from tough guys. So much for the quiet, stoic cowboy bit: if George lost a love, we all heard about it in a voice that just seemed like it was born to mourn. 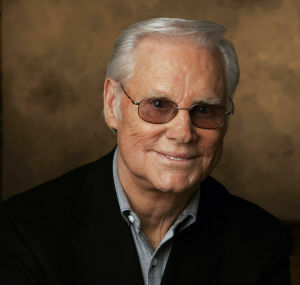 The great George Jones, volcanic temper and all, was basically a guy looking for love and acceptance and forever struggling for peace of mind that he never seemed to find amidst all the lost weekends and half-empty whiskey bottles. Late in his career he recorded a masterpiece of recollection and redemption, “Choices,” written by Mike Curtis, Billy Yates, and Rob Lyons and my choice for one of the greatest country songs ever written. It was one of those “summing-up” songs, and what I know now more than ever is that there was a time that a very un-country college professor heard Possum’s mournful voice singing “the phrase ” If I had listened…. ” and felt just that much less alone. This is a live performance of George singing that song. Previous Previous post: Two New York Times articles about flawed CNN Boston coverage; read the first one and then read the second; what the heck is going on?